Although it might not always seem like it, UX is paramount to Facebook's devs. They want to make engagement with the app as easy as possible in order to persuade users to keep coming back for more. Every change they make is rigorously tested, a difficult task given UI preferences are highly subjective among the app's billions of users. For that reason, we don't see too many changes. 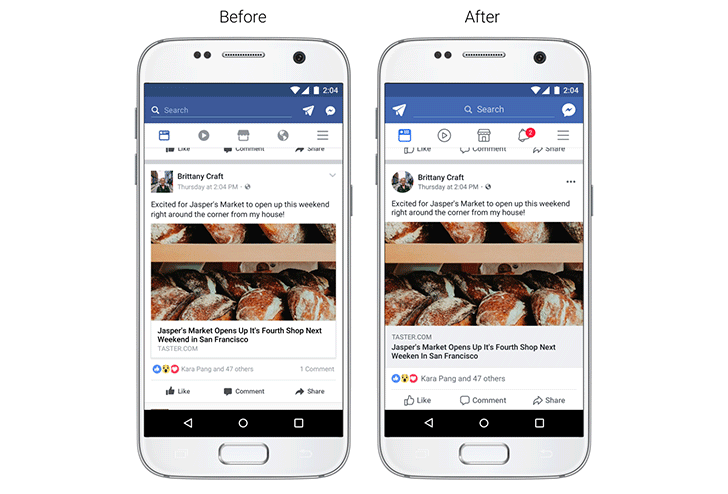 Over the next few weeks, Facebook is going to roll out some of the biggest visual adjustments we'll have seen for quite some time.